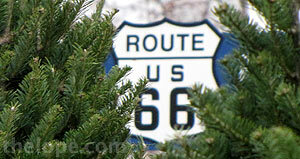 Early this month, I journeyed to St Louis for a couple days and took Route 66 as much as I could. I arrived very late at night but was able to catch a few Christmas lights on the way in. 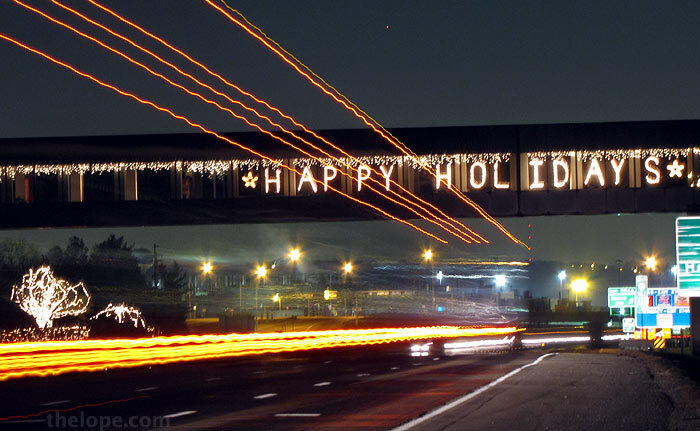 Highway 141 crosses I-44 with a "Happy Holidays." This a stretch of I-44 which Jerry McClanahan's EZ Guide to Route 66 advises is part of Route 66. 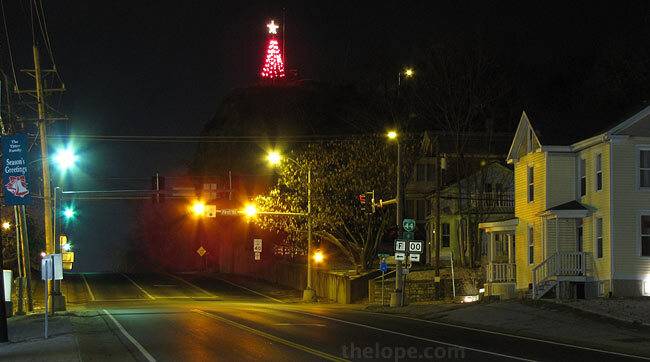 The town of Pacific features a Christmas tree atop a cliff on the west side of town along Route 66. Festive trees decorate the grounds of Unigroup Incorporated of Fenton, Missouri. 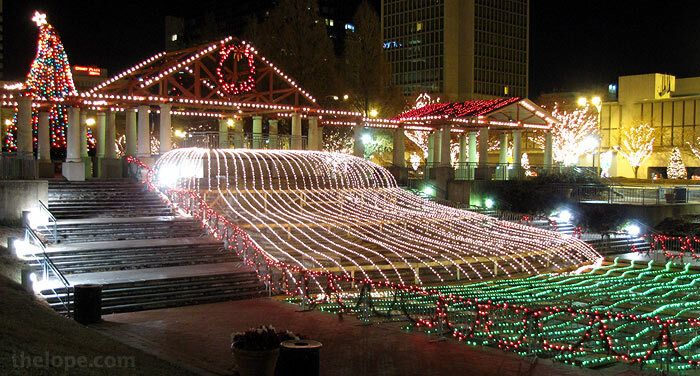 Flowing lights in St Louis' Kiener Plaza imitate a fountain. Here's a little movie for you. 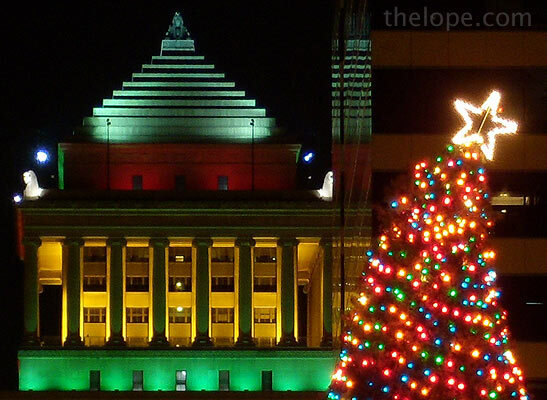 Christmas floodlights transform the St Louis City Court building, as seen from Kiener Plaza. Many hours after it closed for the night, I sought Macy's downtown to see if the store used automated Christmas window displays. 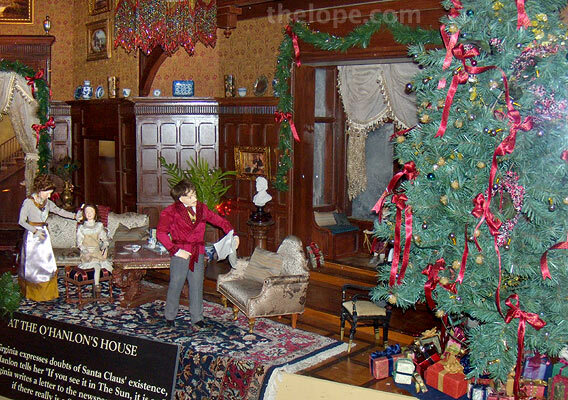 It didn't, but they did have several dioramas telling the story of "Yes, Virginia; there is a Santa Clause." 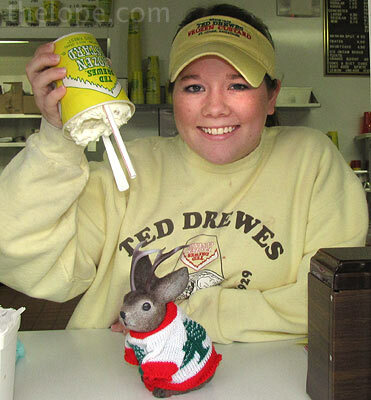 On my way out of town two days later, Ace and I visited Ted Drewes Frozen Custard on Route 66. The company began in 1929 and this location dates from 1941. 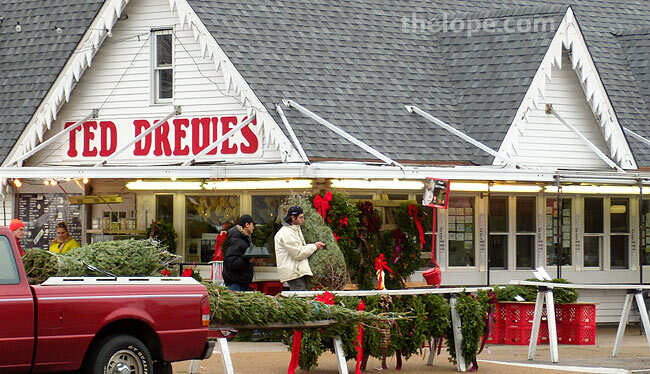 I knew their frozen custard was famous, but I didn't know Ted Drewes sold Christmas trees. 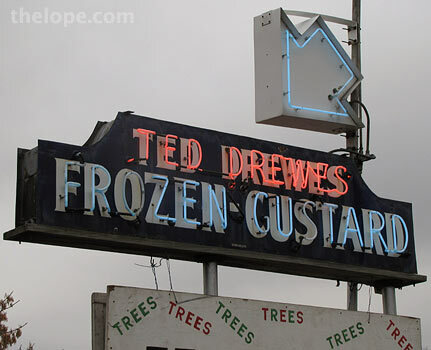 According to their website, Ted Drewes Jr travels to Nova Scotia every fall to select Canadian balsam fir Christmas trees to sell at the custard stand. A friendly employee demonstrates to Ace how his black walnut concrete is so dense as to stay in the cup upside down. 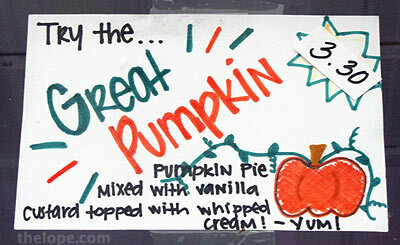 I also had a pumpkin pie concrete because...well, I was there. It was good, by the way; there were even bits of crust in it.